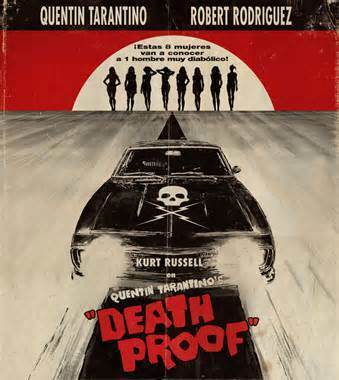 Both of us Daves are huge fans of Quentin Tarantino’s GRINDHOUSE films; Planet Terror and Death Proof! Though the majority of movie-goers didn’t quite grasp the whole concept, these films were a pitch-perfect homage to the cheap, drive-in movie exploitation films of the early ‘70s. Aside from that, both movies are the kind we both can (and do) watch multiple times even though they’re very different in terms of content. 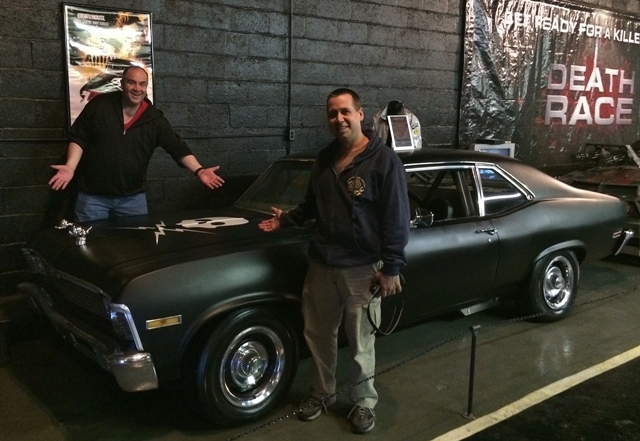 While searching for interesting stops on our 2015 road trip, I discovered that one of the black 1971 Chevrolet Nova SS 396’s used in the film would be only minutes away from the hotel we were staying at in Jackson, Tennessee. 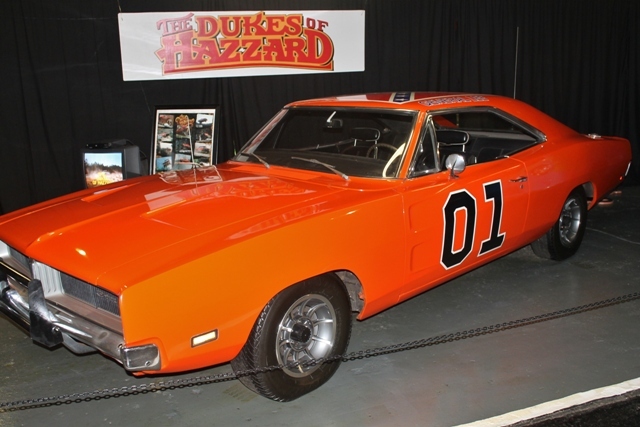 Consequently, we would become as obsessed about seeking it out as Zoe Bell’s character in the film was for a 1970 Dodge Challenger! 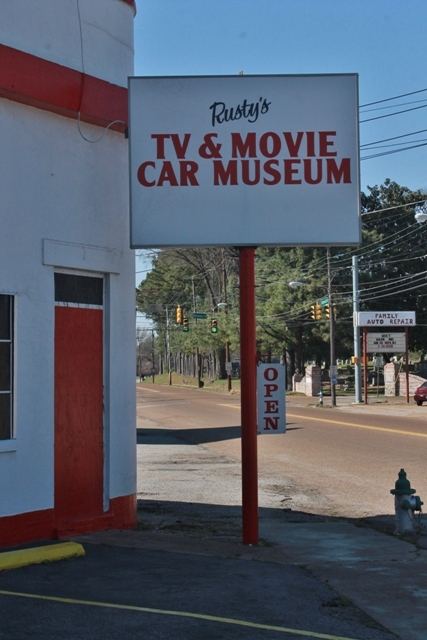 We left the Memphis Zoo (which we both agreed was one of the best we’ve ever seen out of the now twenty-four zoos we’ve visited together) and drove into the lot of Rusty’s Car Museum around 3pm; discovering we had the whole place to ourselves. Dave: As we walked in the door we were greeted by the owner, Rusty Robinson, who was extremely nice and offered us a tour. 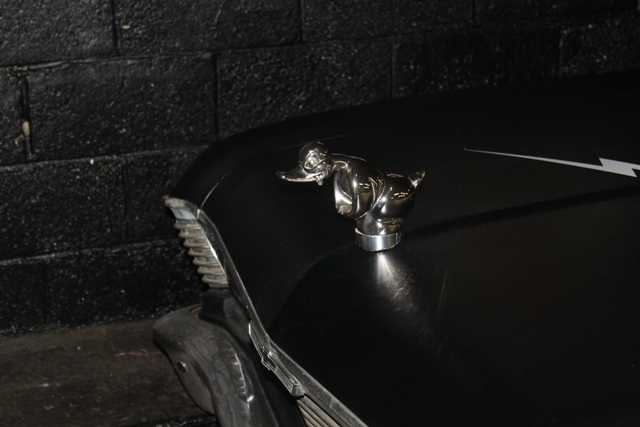 Rusty has been collecting cars for nearly twenty-five years and had some great replicas as well as some authentic vehicles used in films. The collection was not as large as the one in Volo, Illinois but we were interested in just one car and Rusty’s was the place to see it! David: Personally I have never been a fan of cars in films but at the same time, I can certainly understand how these cars became stars in their own right. 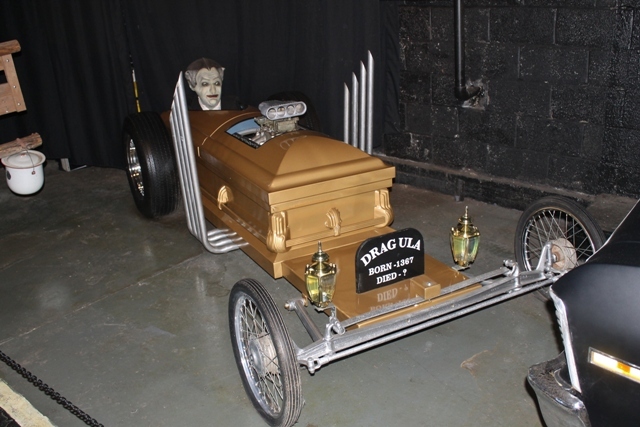 The original Batmobile and Munster’s coach both come to mind. I will also add that after leaving this museum, I had a new-found appreciation for these four-wheeled wonders. 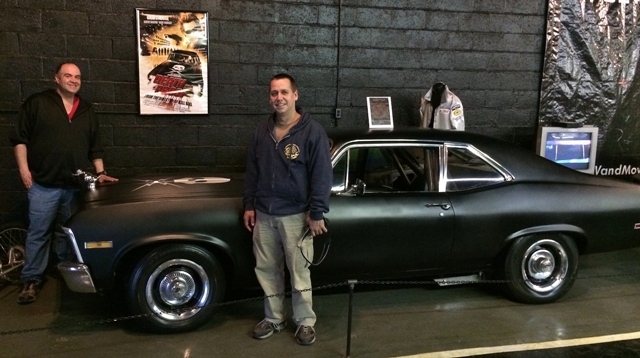 It was great to see the wide variety of cars, everything from the Scooby Doo van to the Batmobile from the 1989 film to more recently cars from the FAST & FURIOUS films. I was never a fan of this Batmobile, feeling that there was no way it could be functional as it is very low to the ground and would very easily bottom out in any high speed chase. It was also great to see a real Delorean, though this one was only a replica of the time machine from the BACK TO THE FUTURE films. 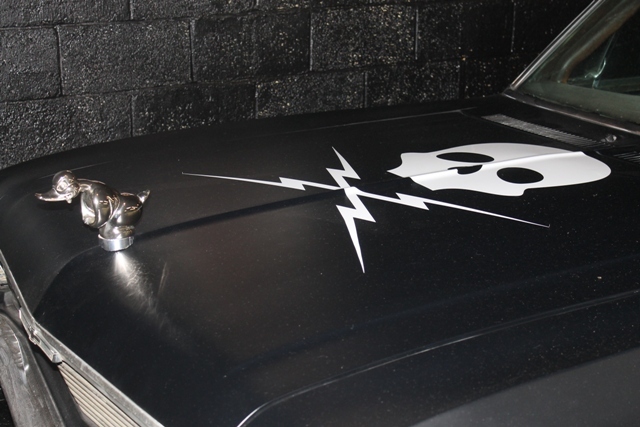 David: When we arrived we immediately went to this car. It was great hearing Rusty tell us of how it was one of many cars used and was actually rigged to be sling shot through a scene. 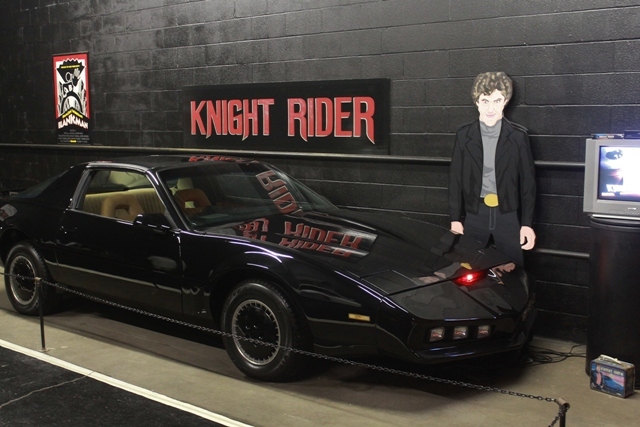 The inside of the car was exactly as it appeared when Stuntman Mike was taking Rose McGowan’s character home, or should I say to her death? This car is just pure muscle and even though so many of the other vehicles in Rusty’s museum may have been better known, it was this car that was star of the show in my eyes. We kicked back in our hotel and watched Love in the Time of Monsters which didn’t thrill us as much as we’d hoped before getting some much needed rest. The next day we’d be in Nashville and paying a visit to Tennessee’s favorite horror host! Coming Up…Dinner with Dr. Gangrene! 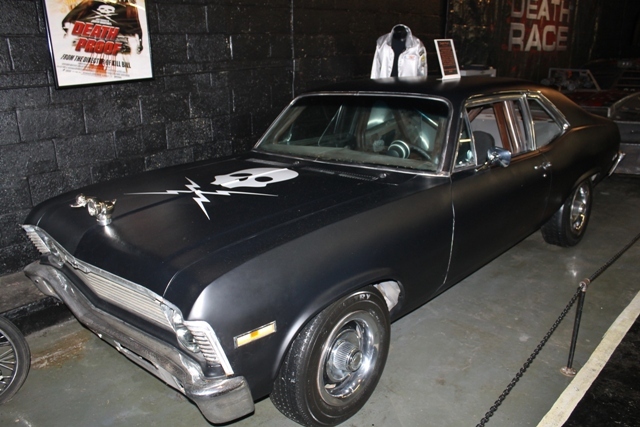 This entry was posted in Terror Daves on the Road!, Weird USA and tagged cars, DEATH PROOF, Quentin Tarantino, Rusty's Car Museum, Terror Daves on the Road. Bookmark the permalink. ← Giant St. Louis Eyeball: One of so many SIGHTS to SEE!